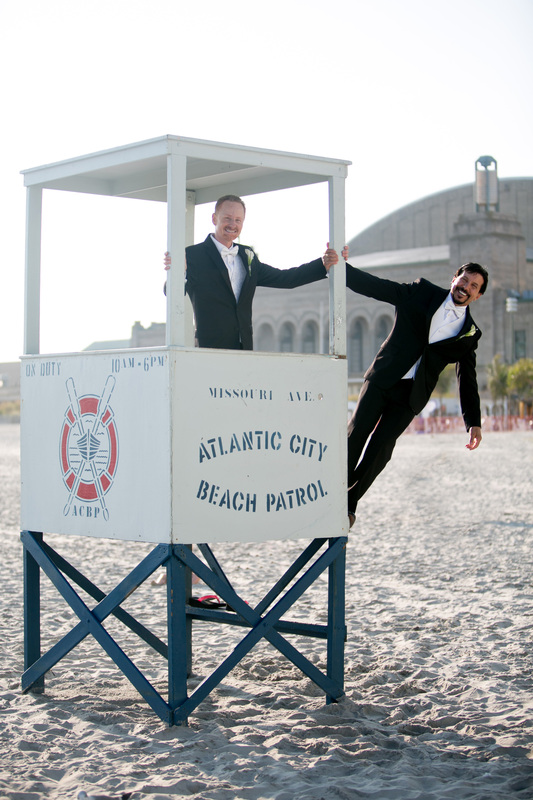 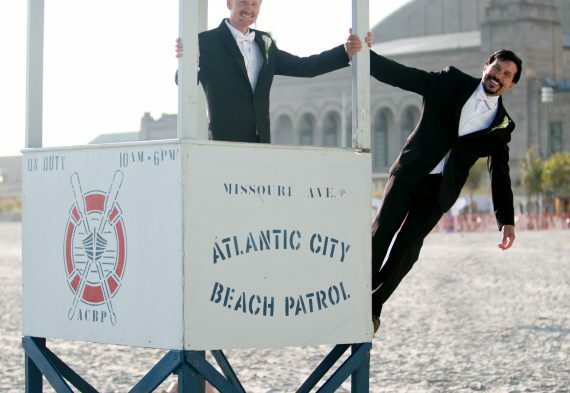 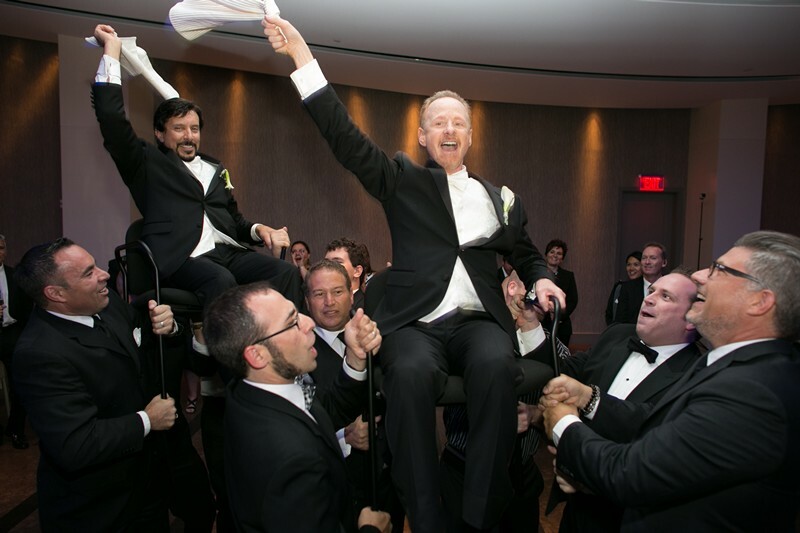 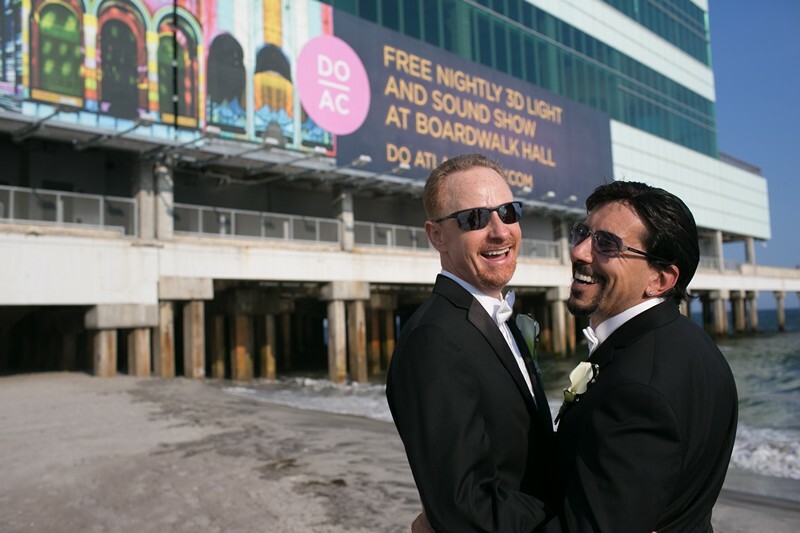 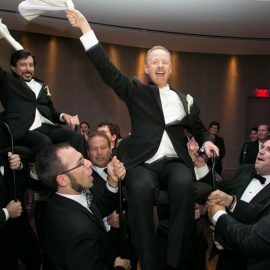 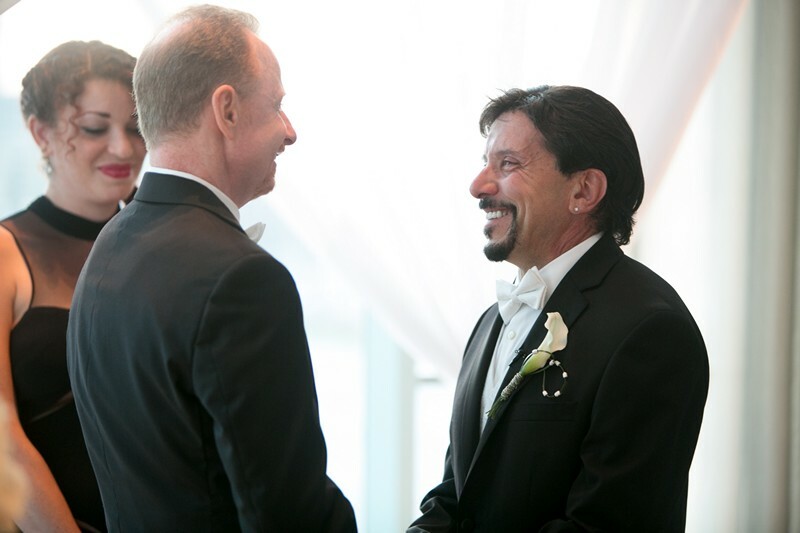 Craig and Peter, who had their first date at the Mays Landing Diner, continued their shore-blossomed romance with their black and white, formal wedding at One Atlantic Events. 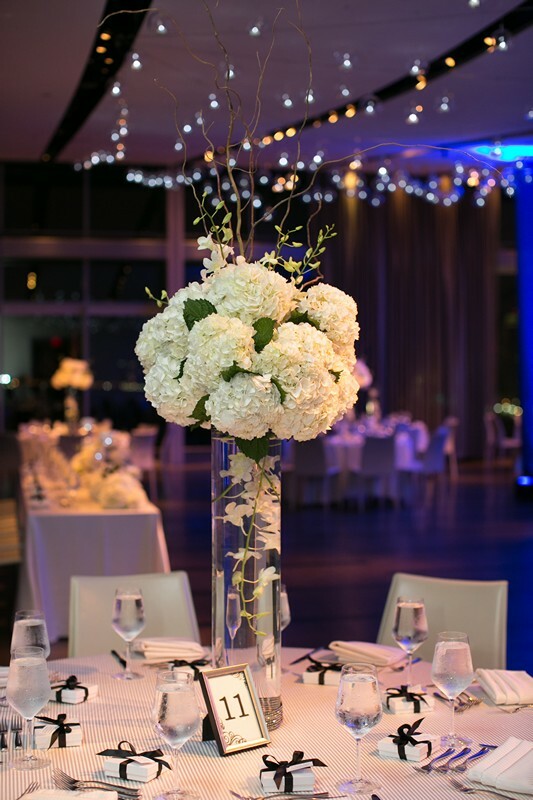 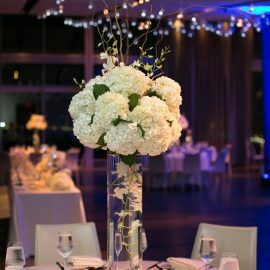 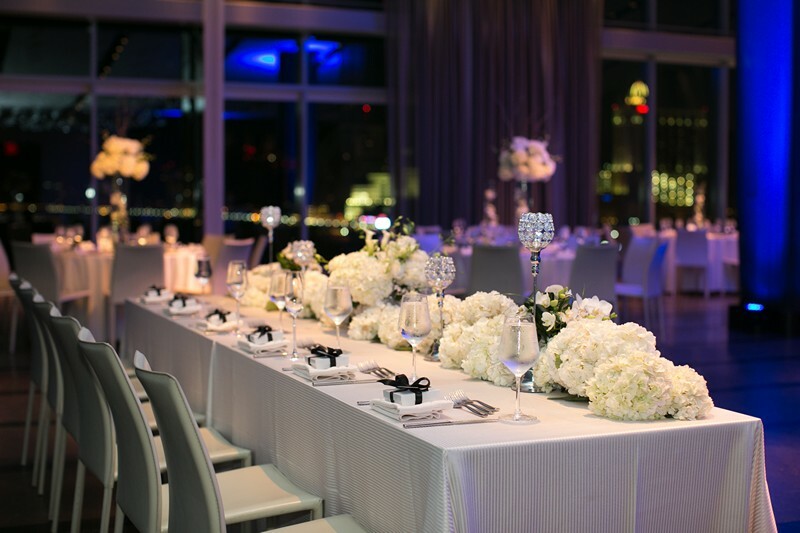 Calla lilies and orchids filled One Atlantic to complete this Modern Hollywood Chic wedding. 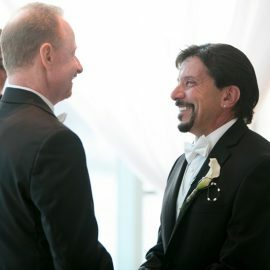 They incorporated their friends and family into their ceremony, then celebrated at their Cocktail-Style reception. 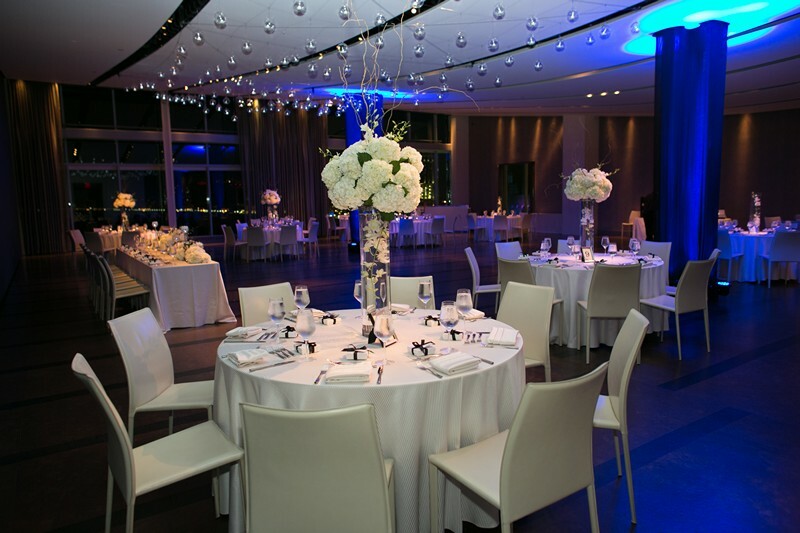 The night was elegant, hip, fun, and fabulous, with plenty of over the ocean dancing! 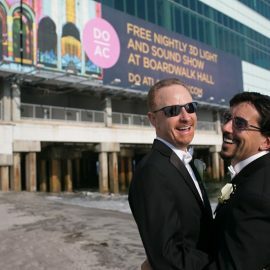 Our favorite part? 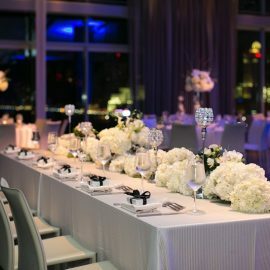 We loved the signature cocktails! 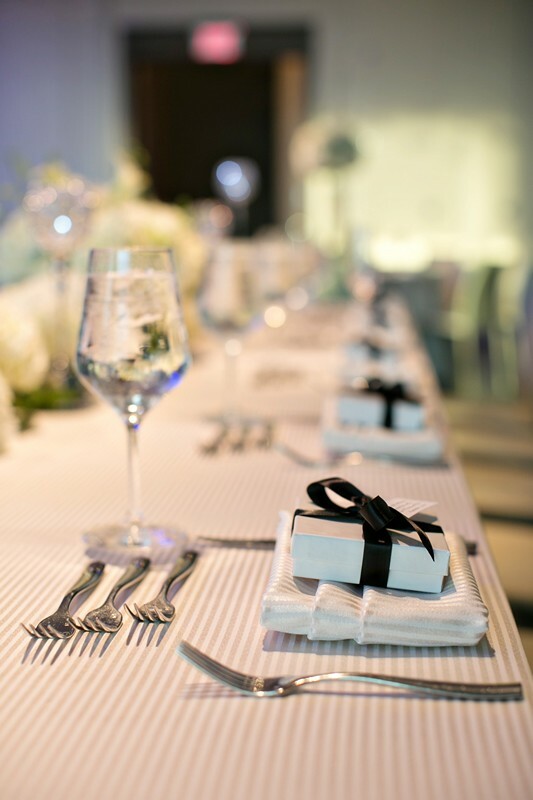 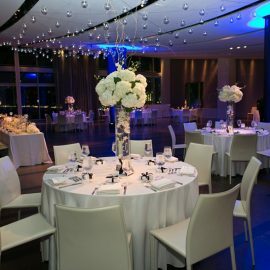 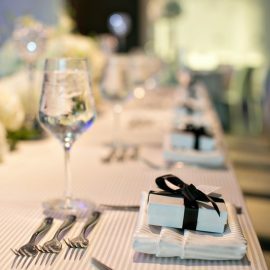 Craig and Peter offered their guests a “Blueberry Mojito” and the “Pearfect Pair Martini.” We also loved the individual wrapped chocolate favors placed at each guest’s seat.